The verdict of the court performance staged during the Barents Spektakel festival in Kirkenes is clear: The opening of the Barents Sea to oil drilling is in conflict with the Norwegian Constitution. For three days, Norwegian Arctic oil was subject to court hearings in downtown Kirkenes, the north Norwegian town. It was all staged as a performance. A huge outdoor court hall had been erected by tons of ice blocks illuminated by light in Arctic colours. But the case was still real enough. The prosecutor and defender were both law expert and the witnesses leading representatives of key institutions. At the core of it all - issues of human existance, climate change and the future of the planet. The show titled The Trial of the Century was initiated and headed by artist Morten Traavik and held as part of Barents Spektakel, the festival of contemporary art and music, theatre and performance. Is oil extraction in the Barents Sea in contradiction with the Norwegian Constitution’s Paragraph 112? Yes, the prosecutor and his witnesses said, arguing that the paragraph prohibits actions which threaten the wellbeing of future generations. No, the defender and his representatives underlined. The courts can not be used to overturn parliament decisions, and the oil industry gives jobs and values needed for good development of society, they said. The performance trial in Kirkenes comes as environmental organisations are preparing a real case against the Norwegian state. On October 18, 2016 Greenpeace Norway and Nature and Youth announced a lawsuit against the Norwegian State for unconstitutionally opening the Barents Sea to oil exploration. It is expected that the court case will take place in the course of 2017. «It sends a signal», she says to the Barents Observer. In the Kirkenes performance, the jury was made up of the audience. The verdict was clear; of the 123 people on site, 74 voted against the state, while the remaining 49 votes rejected the suit. 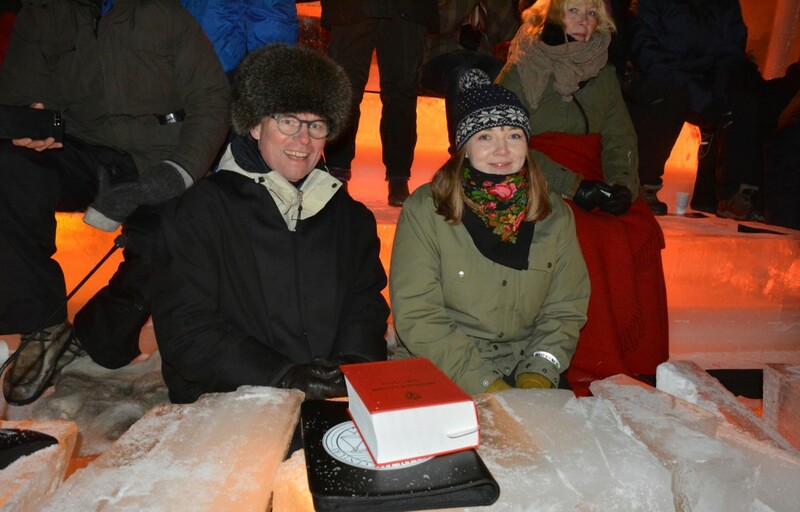 It was victory for the prosecutor in Kirkenes. But the real case will be far tougher. Prosector Hans Petter Graver doubts that the Kirkenes performance will have any influence on the upcoming proceedings. «But the performance can contribute to discussion on these important issues», he says. Graver, a law professor from the University of Oslo, does not exclude that Greenpeace and Nature and Youth could win the real case. But the chances are slim. «Seen with a traditional legal approach, it is unlikely that they win», he argues to the Barents Observer. «Our democratic and political bodies both nationally and internationally have failed to address the climate change issue. If people agree with that, the case could get an unexpected outcome». 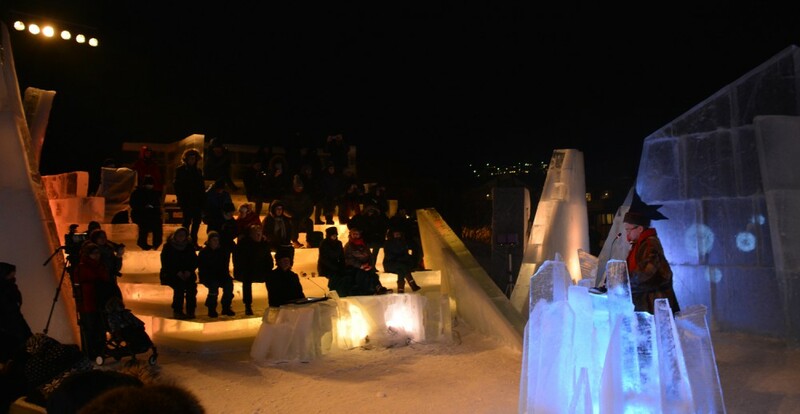 Artist Morten Traavik says Kirkenes was the right place for his performance. «For me it was clear that these tremendously complex questions would get a special energy by being addressed here north, far away from the Oslo city court, and in the centre of the region which is most affected by climate change». Despite the serious caracter of the case, he says it has been a surrealistic experience, something like «a Nurnberg process in Narnia». He does not exclude that the project will get a follow-up. And that neighbouring Russia could be the place. «Next time we might do it in the border town of Nikel», he says.